Border Security Force (BSF) has released a job opportunity for over 1000 posts of Head Constable on its official website. All the interested aspirants can apply for the vacancies released under Group C category. Candidates are advised to submit their application form in the prescribed format on or before 12th June 2019. However, the application process will begin on 14th May 2019. Therefore, candidates who wish to join BSF get ready to submit their application form. The recruitment will be done to fill 1072 Head Constable posts that will begin on 14th May and the last date to apply for the new vacancies is 12th June 2019. 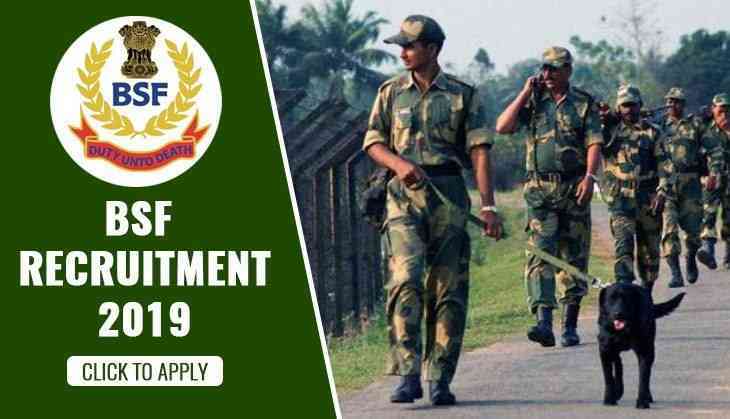 This year, BSF has released a total of 1072 vacancies and out of the total vacancies, 300 posts will be filled for Head Constable (Radio Operator) while 772 for Head Constable (Radio Mechanic). However, the application forms for the Head Constable posts will be filled through online mode only. Candidates who are applying for the position must have completed their Matriculation or 12th from a recognised board and also have two years Industrial Training Institute Certificate (ITI) in the relevant subject. The minimum age limit to apply for the post is 18 years while the maximum age limit is 25 years (Age relaxation will be given to candidates as per government norms). The selection for the vacancies will be based on the performance of aspirants in written test, physical test, descriptive test and final medical exam.